Discussion in 'PC Games' started by walker_2003, Feb 3, 2019. - Huge map with balloons you can repel up and glide off to relocate. - Enemy crates are colored by level of loot so u can prioritise. - Character abilities can be used together e.g. one calls in smoke barrage and other can use infrared to see through it. - Banners scattered throughout match which shows which team is doing best and what customisation they have etc. Secret Titanfall 2 style F2P BR from Respawn? Interesting. They have always spent the polish and time for a good game launch, sounds like it's ready to go and no early access trash either. Launches 4th in the USA, which is tomorrow our time. They had a bunch of popular BR streamers at a pre-launch function recently who are all going to be streaming it tomorrow. The sudden announcement/blast/viral social media and next-day launch approach is refreshing instead of a long drawn-out hype train that usually falls short. Could this be the new #1 optimised, non-early access F2P BR that isn't cartoons, rainbows and sprinkles? Yeah I hold high hopes for it. Titanfall 2 is great just launched at bad time. The pilot shooting is solid as and the wall running etc in a BR mode sounds fun. I been refreshing youtube hoping is a trailer or something. Was rumoured to be a super bowl add..
A Titanfall game sans Titans. Today, in Titanfall 2 - the most popular multiplayer game mode seems to be the titan-free one and Respawn would know this. The fast gunplay, wallrunning, grappling, verticality etc without being stomped on by a mech, seems to be the most appeal. Still it would be good to have some way to use vehicles to get around the map, unless they are going for something different - such as an ever shrinking internal base or city/urban type map. walker_2003 and power like this. While I'm pretty interested in this... the one thing that keeps me reserved is that all of these things kind of run at odds with the BR gametype. Battle Royales by nature are kind of defensive, so it'll be really interesting to see how it pans out. Is the COD one like that though? It certainly was initially (I haven't played since the armor changes which I've heard have helped). As crazy as the grappling hook and all the other gadgets were, you were still incentivised to avoid conflict as much as possible once you had armor and a decent loadout. Maybe they are switching things up and ditching the large open map that takes 30 mins to play a round? Can you imagine a super aggressive BR with 100 players on a smallish urban map or base with lots of verticality? Fairly quick rounds that are more based on skill and tactics instead of gear RNG? I know a few streamers that have been asking for this. yeah so much BR relies on the last phase - just skip straight to it. Agreed... this was the biggest improvement CoD made over Pubg... it decreased that insane midgame lull a lot. 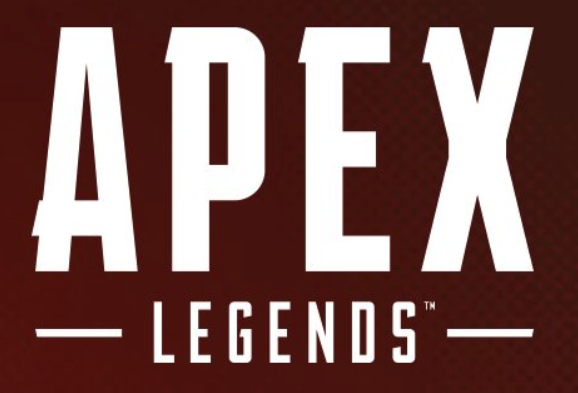 https://www.playapex.com/ works but just redirects to EA's main page for now. Looks like you have a bit less mobility than pilot mode in Titanfall 2, look alright though. Respawn know satisfying gun play so I'm sure it'll feel great. Plenty of laptops out there with more than enough power to run this btw. Metabox exists. Game itself does look fun, I never played the titanfall series so am not aware of the movement I am missing out on. Currently downloading for a session after work this evening. Yeah metabox Rock but he exclusively always games on laptops and whines about perf haha. The gunplay and movement of titanfall 2 is top notch. In fact I highly recommend getting origin access even for a month just to play titanfall 2 campaign it's really something! It's 3 x man squad First Person BR meets the character roles of Overwatch with the customisation and seasonal content of Fortnite, in the universe of Titanfall.